Debate began about the identity of the Habiru with the discovery of these letters from ancient Egypt. These tablets provided scholars with their initial impressions of the Habiru. However, over the last 100 years understanding of these people has changed with other, more ancient sources, coming to light. These sources include the Mari texts (1750 B.C.E. ), the Nuzi texts (1500 B.C.E. ), sources from Alalakh and Ugarit (1350 B.C.E. ), Hittite texts, the Amarna Letters from Canaan, written to Egyptian Pharaohs, and Egyptian sources throughout the Late Bronze Age, particularly from the reigns of Amenhotep II and Seti I. Knowledge of the Habiru surfaced with the accidental discovery of a large collection of tablets in 1887. These documents were discovered in Egypt, by an Egyptian woman, who had stumbled upon a palace buried under sand. She found within one of the palatial rooms a group of cuneiform tablets. Most of the tablets were written using Akkadian cuneiform logograms. Cuneiform is an ancient form of writing. Cuneiform was a hieroglyphic type writing style invented by the Sumerians, perhaps as early as 3000 B.C.E. The Akkadians subsequently derived their writing style from the Sumerians, thus the two languages shared many similarities. The Amarna Letters were written by Canaanite scribes from Palestine, Phoenicia, and southern Syria, primarily using the Akkaddian cuneiform writing style. These tablets were from Canaanite city-state rulers, written to the court of the Pharaoh in Egypt. They mostly date to the first half of the 14th century B.C.E. (1399-1350), and described military campaigns in Canaan. 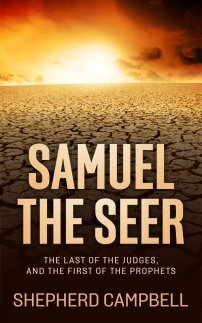 The nature of the land of Canaan is one of unrest, being threatened by these Habiru tribes. The nature of the ancient Egypt government has also been brought into question. Were these Habiru a real threat to Egypt? It would seem they were not. They were certainly a threat to the city-state vassals hundreds of miles away in Canaan. 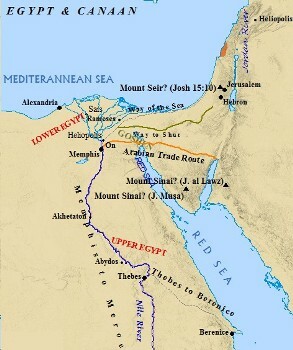 Some have used their presence to indicate Egypt's control on the area had lightened. Some Egyptian historians suggest ancient Egypt government was concerned with other affairs, and the land of Canaan was not a high priority. Much of the correspondence uncovered was addressed to Amenhotep III and his son, Akhnaton. A few of the letters were addressed to Tutankhamen, the son-in-law of Akhnaton and his successor as Pharaoh. In the Amarna letters, the Habiru emerge as a familiar and distinct group of people. They are found throughout all of Canaan raiding and attacking local city-states - which amounts to fortified cities and the surrounding countryside. The Amarna Letters are complaints about the attacks, written from these city-state rulers to Pharaoh and asking Pharaoh for troops. These people are identified most frequently using the Akkadian logogram SA.GAZ, however, in some letters the Akkadian word "Hapiru" is used. Rib-Addi, the governor of Byblos, wrote scathing letters about the Habiru to Pharaoh. This biased attitude against the Habiru was prevalent in the Amarna correspondence. These were, after all, the letters written from the kings which were under attack. One group of letters in particular interested scholars. These were sent by Er-Heba, the Egyptian ruler of Jerusalem. In his letters, he complains of the SA.GAZ, or Habiru, as attacking and raiding the Pharaoh's lands around Jerusalem. Er-Heba's request is urgent, as he is adamant about the threat of losing Jerusalem to the Habiru. Oftentimes, Er-Heba opens his letters with the salutation: "I fall at the feet of my lord, the king, seven times and seven times." He continues with the danger to Jerusalem. "They have siezed the land of Rubute. The land of the king has fallen away to the Habiri. And now, even a city of the Jorusalem district, Bit-in-ib by name, a city of the king, has fallen away to the side of the people of Qeila. Let the king listen to Er-Heba, your servant, and send an army of archers that they might restore the land of the king to the king. For if there are no army of archers the land of the king will fall away to the Habiri." Er-Heba's situation is such that he may have to hand over Jerusalem if the Pharaoh doesn't send help. "Now shall we do as Lab'ayu, who gave the land of Shechem to the Apiru?" Lab'ayu is mentioned in several letters. He was the acting ruler of Shechem, and the rival of Er-Heba for control over the hill country. It is significant to note that even before the establishment of the Israelites, Shechem and Jerusalem were in contention for control of the hill country of Canaan. Both sat astride important trade and travel routes. 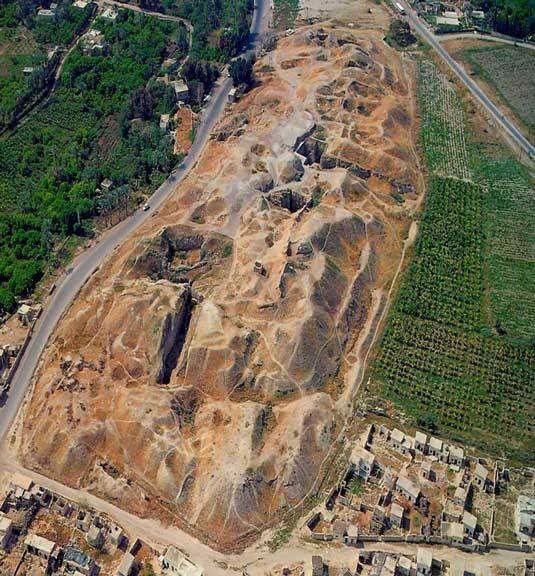 The Habiru control Shechem. What is even more significant, is that Er-Heba makes the claim Shechem was handed over to the Apiru, one of multiple appellations used to describe the Habiru in the Amarna tablets. The fact that Habiru exercised some extent of control over Shechem in the 14th century is especially interesting when one takes into account the importance Shechem played in the early development of Israel. It became a principle center of Hebrew worship, and in fact became the first capital of Israel. Military activity in southern Canaan during the 14th century has tantalized Biblical scholars, and Shechem's importance in the Amarna tablets imply a Hebrew/Habiru connection of some sort. Lab'ayu seems to have sided with the Habiru, as is evident in a letter from Biridiya, prince of Megiddo. "Now behold the two sons of Labaya have given their money to the SA.GAZ and to men of the land of Kashshi to make war against me." An explanation is not given as to the identity of the Habiru, which leads one to the logical conclusion their existence in Canaan was already known. No explanation was needed, because their identity was not new. They had already been established in Canaanite society. The Amarna Letters treat them as such, assuming their identity is known by the recipient of the correspondence. "Since the return of your father from Sidon-from his days the land have been going over to the SA.GAZ." 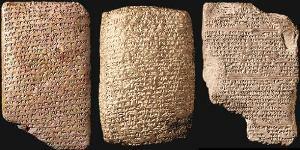 This letter is an overt statement proving the Habiru resided in Canaan before the time of the Amarna tablets. They are referred to using many appellations; SA.GAZ, Habiru, Hapiri, Apiru, Apiri. The various names lend more credence to their prior existence, and as will be seen, are a result of their interactions with many of the different cultures and people in the ancient Near East. "All the cities that the king gave in my charge have gone over to the SA.GAZ." Native rebels also seemed to have joined forces with the Habiru. In one letter, a local governor writes of the rebel troops and their activities with the Habiru. "Its horses and its chariots they have given to the SA.GAZ." It becomes evident that Habiru is used as a negative term in the Amarna Letters. They are portrayed as plundering the land, and shifting alliances from one kingdom to another, in exchange for provisions, food, and shelter. From Sidon in the north, to Jerusalem in the south, and all lands in between, the Habiru made their presence known. In fact, due to their destructive nature in Canaan, and the negative connotations in the Amarna Letters, the term began to apply to a wider range of people. Written by loyalist vassals of Egypt, the Amarna Letters were produced in such a way as to portray the loyal Canaanite city-state rulers in the best possible light. As a result of the political nature of the letters, the enemy had to be belittled, maligned, and portrayed in as disparaging a way as possible. The Habiru were pictured as direct threats to Egyptian control, rebels, guilty of sedition. Consequently, the term "Habiru", came to represent any threat to the Egyptian empire. Na'aman points out that in many of the letters, the phrase; "to become Habiru", is used. This implies that to thwart Egyptian order and control, is to become a traitor, to cross over, and in essence, become Habiru, a rebel and guilty of sedition. The Amarna Letters painted those in opposition to Egypt as outlaws, and to participate in rebellious activities was to cross over, or, to become as the Habiru. However, not all the Habiru were involved in rebellion. Some remained loyal to the local governors. They were not a united group, with one political objective in mind. They dwelt independently of one another, and some hired out as mercenaries to other kingdoms or rebel leaders. Thus the overall view of the Habiru, as gleamed from the Amarna tablets, is one of a rebellious group of people. The term is used in a negative fashion, and is associated with violence, law breaking, and sedition. They were a negative element in society, responsible for upheaval and destruction. The tone used in these letters was one of reproach. To be Habiru, in Egyptian court, was to be opposed to Egyptian rule, thus, a traitor, and subject to death. SHARE YOUR THOUGHTS ON EGYPT & THE HABIRU. Could the Amarna Letters be referring to Hebrews making war in Canaan, using the appellation of Habiru? Do you have insight into the Habiru? Share your expertise, comments, questions, and opinions on the Habiru / Hebrew connection! 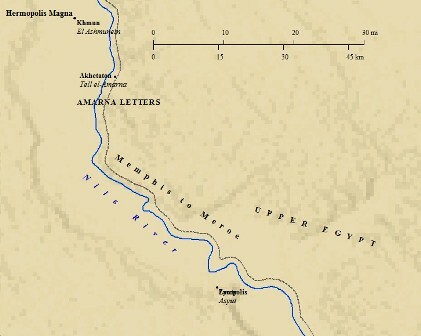 Explore the Amarna Letters by clicking on the link below and visiting barnesandnoble.com!